Sunday night, we learned that there had been yet another horrific act of violence in our country and we are asking, once again, "How does one make sense of this tragedy?" With numerous events and natural disasters in rapid succession, many of us may be experiencing upset, worry, and a sense of being overwhelmed. If adults are challenged to comprehend the enormity of human suffering that has resulted from violence and the forces of nature, how can our children understand, let alone feel that they are safe? 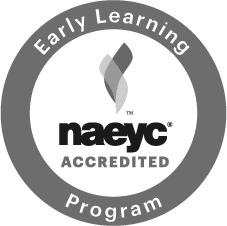 Having been a teacher and Program Director for many years, I have had the opportunity to talk with parents and staff about research and developmental theory and how they inform us about what children need to know about these types of events or natural disasters. Thankfully, there is ample information to help guide parents, teachers, and caregivers as we strive to help children feel secure, as well as find support for ourselves. "One of the most important things for healthy development is for children to feel safe and secure. Violent images in the news can scare children even if they are far away, and undermine their sense of well-being. Therefore it's important to protect young children as much as possible from these images... If young children are exposed, remind them that they are safe at home and provide concrete examples using age-appropriate terms..."
In agreement with Levin, many experts recommend keeping young children away from repetitive graphic images, dialogue, and sounds that may appear on television, radio, social media, computers, etc. These images only magnify the sense of worry or fear children may feel. 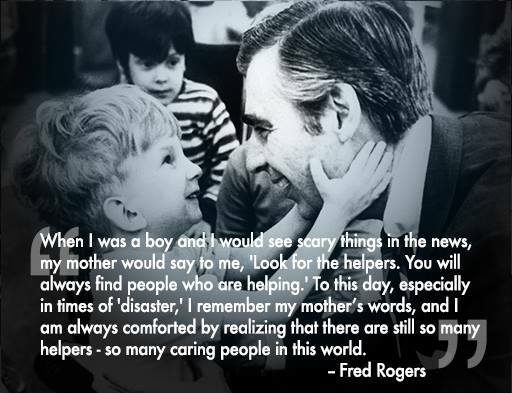 Another recommendation that I have found beneficial and wise is that of Fred Rogers of Mr. Rogers' Neighborhood: "When I was a boy and I would see scary things in the news, my mother would say to me, 'Look for the helpers. You will always find people who are helping.'" At the CEC, we strive to remind children of the power of goodness and the importance of offering and accepting help from their family and community. The following resources provide additional perspectives and specific information about talking with children about violence and disasters. If there is anything I can do to assist you, please feel free to contact me. healthychildren.org: "Talking To Children About Tragedies and Other News Events"
American Academy of Pediatrics: "AAP Urges Response to Psychosocial Needs of Children and Families in Wake of Disasters and Crises"
The National Child Traumatic Stress Network: "Talking to Children about the Shooting"
PBS Parents: "Talking with Kids About News"